Here is the 2017 promotional reel for Canal 13's international feed. Available worldwide! We will be at NATPE 17 again this year from January 16th-19th showcasing our newest content for 2017. Please e-mail us to set up a meeting, we look forward to seeing you there! 8 years ago these two families met and won the hearts of thousands in Peru and Latin America. The comedic rivalry between these neighbors brings a bitter sweet ending to their story. The series finale ended with 41.3 rating and breaking all records for highest rated series in Peru's television history. Series and format available for all 8 seasons. 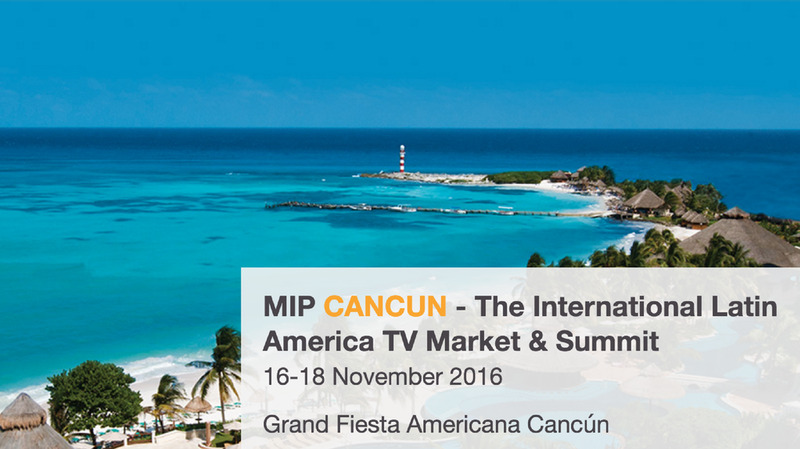 We will be at MIPCancun for the second year from November 15th-18th showcasing our newest content for 2017. Please e-mail us to set up a meeting, we look forward to seeing you there! TVFilm acquires exclusive rights for Latin America of the new animated series Sabrina: Secrets of a Teenage Witch. The series has aired in 42 countries and for the first time will be available in neutral spanish for Latin America. For more info please contact info@tvfilmcl.com. TV FILM es una distribuidora independiente con sede en Miami y Santiago, Chile.